Dena Bank, which is among eight entities under PCA, will cease to exist from April 1, 2019. The recent capital infusion of Rs 48,239 crore in 12 public sector banks (PSBs) will help Corporation Bank and Allahabad Bank to come out of the Prompt Corrective Action (PCA) framework in the next few weeks, sources said. Corporation Bank is the biggest beneficiary of this round of capital infusion with Rs 9,086 crore of funding, followed by Allahabad Bank with Rs 6,896 crore. This infusion will help these two lenders meet requisite capital thresholds of 7.375 CET-1 ratio, 8.875 per cent Tier I ratio, 10.875 per cent of capital-to-risk weighted assets ratio (CRAR) and the net NPA ratio threshold of below 6 per cent. 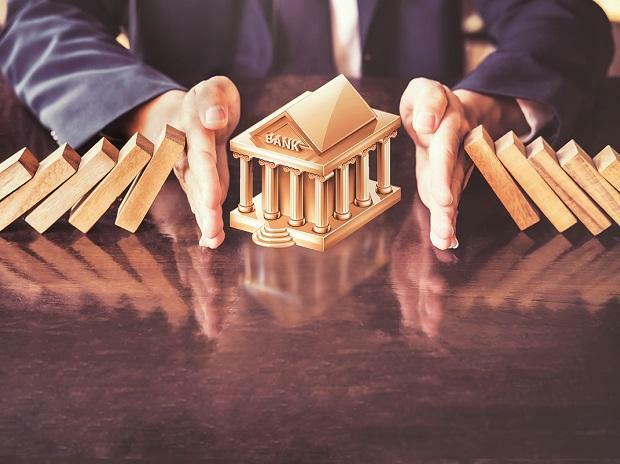 The RBI may in the next few weeks take a decision to remove these two lenders out of PCA supervision as they had done in the case of Bank of India (BoI), Bank of Maharashtra (BoM) and Oriental Bank of Commerce (OBC) last month after capital infusion in December, sources said. With the removal of three banks on January 31, the list has already come down to 8 from 11. Dena Bank, which is among eight entities under PCA, will cease to exist from April 1, 2019. So, the list will further shorten with the bank merging with Bank of Baroda beginning next fiscal, sources said. IDBI Bank, now majority owned by LIC, is also improving its financial health and bringing down its net non-performing assets (NPAs) in a bid to come out of the PCA supervision. If the bank continue to improve its health, it is anticipated that the RBI would lift the curb from IDBI Bank after September numbers. Besides, Central Bank and UCO Bank are trying to improve their parameters on mission mode. So, sources said, four more banks are likely see curb lifted by RBI on them in 6-8 months. Last month, Financial Services Secretary Rajiv Kumar had said: "Government's sustained 4R's (Recognition, Recapitalization, Resolution, and Reform) strategy for banking transformation delivers again. 3 better-performing PSBs (BoM, BoI & OBC) exit PCA. Banks need to be more responsible, adopt high underwriting & risk management standards to avoid recurrence". Kumar, who has been credited with undertaking multiple reforms in the banking sector, provided record amount of capital infusion in the public sector banks (PSBs). Since commencement of clean-up in 2015-16, the recapitalisation has crossed over Rs 3 lakh crore through mix of budgetary support and market raising helping banks to make adequate provisions for the bad loans. As a result, there has been reversal in the deteriorating bad loan situation and there has been record loan recovery during the current fiscal. Various initiatives taken by the government have yielded results, with the bad loans of public sector banks declining by over Rs 23,860 crore in the first half of the current fiscal. At the same time, PSBs have also made a record recovery of Rs 60,726 crore in the first half of the current financial year, which is more than double the amount recovered in the corresponding period last year.